The National Health Service (NHS) was founded in 1948 and since then it has grown into the largest and the oldest single-payer healthcare system in the world. It provides the majority of healthcare in the UK and stays available to everyone, regardless of wealth. This year the NHS has celebrated its 68th anniversary. 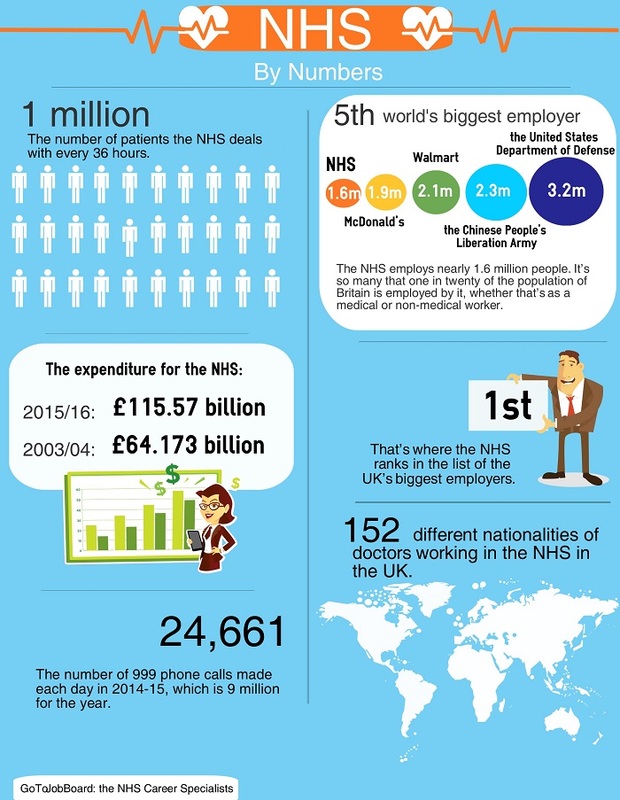 Have a look at our infographic which shows you how the NHS compares with other employers in the UK and across the world. Would you like to work at one of the greatest employers in the world? Take a look at our latest hot jobs then and see if there are any matching your skill set. You can also register with us and receive notifications about new job postings that match your requirements. Written by Tatiana Prichislenko, Marketing Manager at GoToJobBoard. What success can be achieved in the NHS?